In Greek mythology, the Hippocrene was the fountain on Mt. Parnassus, the hangout of Apollo and the Muses. According to myth, Pegasus stomped his hooves on the mountain and a spring came forth, eventually becoming the Hippocrene, a fountain from which those who need inspiration can drink. 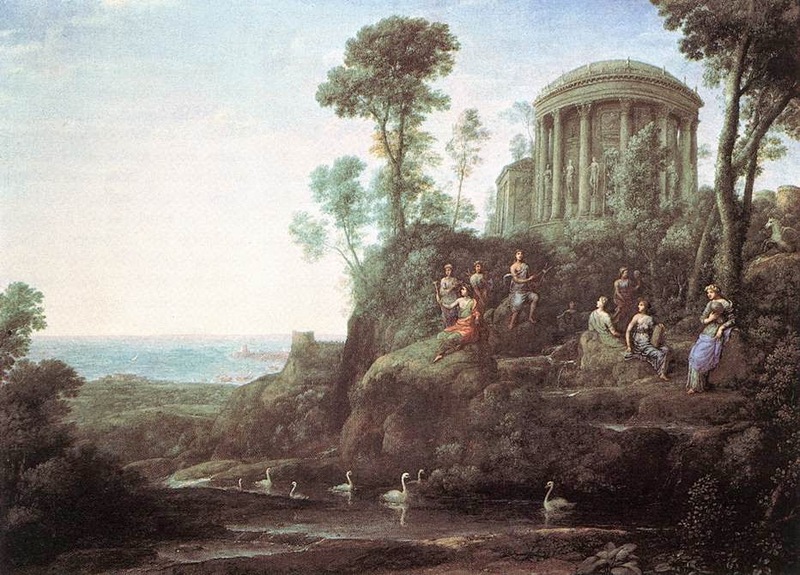 Claude Lorrain, Apollo and the Muses on Mount Helicon—1680. If you're careful, you can see Pegasus on the upper right, having just struck the earth with his hooves. Comic books, namely Wonder Woman, but others as well. Television, mostly comic book-themed shows, but also those that show earthbound heroes. Novels, fantasy and science fiction mostly, but mainstream novels that show humans acting for the better of others. Edith Hamilton's Mythology has inspired much! Authors I know, specifically those who write in my genre, but not always. I look at people whose writing style I love. That motivates me. Leave me a comment on what inspires YOU. I'd love to know!